Get cheeky again! If hollowed cheeks are your primary cosmetic concern, Dr. Milgrim can make them look plump and lifted without surgery. A single 30-minute treatment and you’ll look fabulous. Local numbing is applied so you will not feel the needle. Call (201) 357-4702 to schedule a complimentary consultation at our New Jersey office. Wrinkles, saggy jowls and fine lines are often caused by collagen loss, which is part of the aging process. 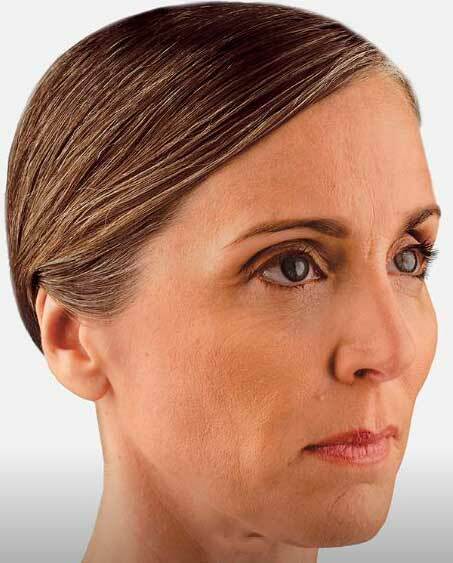 Dr. Milgrim is very experienced with Voluma XC, the only FDA approved facial filler which uniquely redefines cheeks, cheekbones and the chin areas. He personally injects this revolutionary Hyaluronic Acid (HA), a natural substance our body produces, to enhance your skin’s beautiful glow, restore sunken cheeks and replenish lost youth. Trust the trained eyes of a board-certified facial plastic surgeon for the delicate task of gently applying just the right amount of filler under the skin to achieve long-lasting, natural-looking results. Creates more supple cheeks without overinflating them. Quickly restores sullen, sunken cheeks after only one treatment. Effects last for up to two years, longer than any other dermal filler on the market. No surgery, no downtime, not painful. 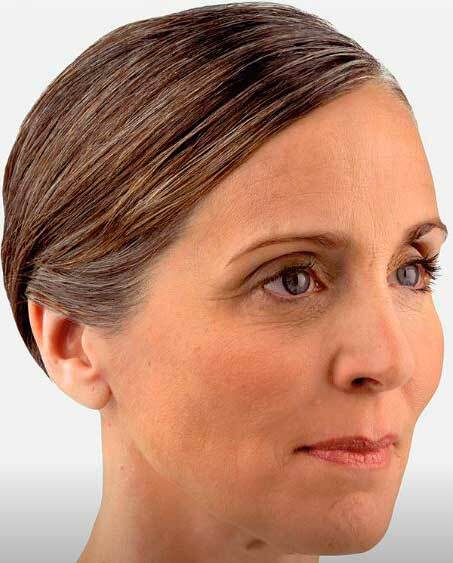 Before: Dr. Milgrim will examine your facial structure to determine the best places to apply Voluma XC in order to receive the most optimal outcome possible. He is adamant in advising patients to avoid any alcohol and blood thinners such as aspirin prior to treatment to prevent excess bleeding. During: Lidocaine is administered prior to Voluma XC treatment to avoid pain and excessive swelling. The treatment is then injected into the patient’s cheek lines and midfacial regions to lift tissue and quickly restore lost volume. Dr. Milgrim uses flexible cannulas to flawlessly inject Voluma XC into the cheeks. While a tingling sensation and mild irritation may be experienced, your comfort throughout the procedure is our top priority, and all discomfort will be remedied. After: One of the many benefits our patients love about Voluma XC is that results are seen following your first treatment. You’ll leave our office with plumper and firmer cheeks to accentuate your beautiful smile. Our goal is to have you home right after the injection. Depending on your facial appearance goal you may need to come back for additional treatments. Dr. Milgrim, MD is one of the few Board-Certified Facial Plastic Surgeons in his field adept on administering Voluma XC treatment to patients seeking luminous facial features. At the office of Milgrim Plastic Surgery, our main goal is to help lift your spirits and restore your natural glow. Touted as one of the “Best Doctors in America”, Dr. Milgrim will brighten up your appearance and re-contour your cheekbones in minutes using Voluma XC. Dr. Milgrim realizes the importance of maintaining your beauty and is excited to show patients what Voluma XC can do for them. During your complimentary consultation, the doctor will discuss possible side effects and gather ideas on the best injection sites for your face. Patients will have all of their questions assessed during the initial consultation for complete confidence about the treatment they will receive. Please reach out to Milgrim Plastic Surgery today for your free consultation. Our office is located in New Jersey, easily reachable from the surrounding communities of Englewood, Teaneck, Westwood, and Fort Lee.